Senator Chris Murphy (D-Conn.) May 30 declared in New Haven, Connecticut, his support of a federal gas tax increase to ensure the Highway Trust Fund (HTF) can continue to support needed highway and transit improvements. Murphy stated an increase should both adjust the rate of the tax and index the tax to inflation. His proposal would increase the federal gasoline and diesel excises by six cents in 2015 and another six cents in 2016. Murphy blames “political cowardice” as the reason the gas tax has not been raised since 1993. He further suggested states should be allowed to compete to develop vehicle miles traveled (VMT) pilot programs that are cost-effective and protect user privacy. Murphy’s talk immediately followed a mechanical problem on the Walk Bridge in Norwalk, Connecticut. The 118-year old bridge failed to close properly during overnight testing May 29, and the issue caused severe congestion for morning commuters. 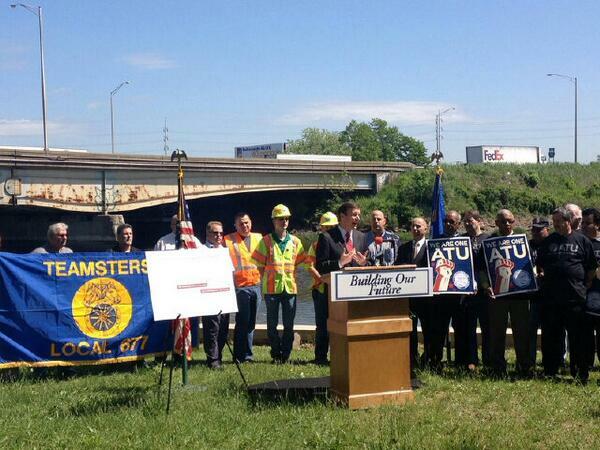 Connecticut is home to 406 “structurally deficient” bridges and relies on federal highway funds for 71 percent of its highway and bridge capital improvements.